BTFC About - Bewdley Town F.C. Bewdley Town Football Club, as it is now known, was formed in 1978, following over 90 years competing under various local names, one of which has been resurrected recently by the youth section as Bewdley Comrades. The club was formed with the merger of two local teams , Bewdley Old Boys F.C and Woodcolliers FC, the latter who played on a Sunday and both originally playing at Gardeners Meadow in Bewdley. The ground at Gardeners Meadow was sold for re-development which meant the club had to seek a new venue and moved temporarily to Kidderminster. A massive fundraising project commenced, which enabled the club to purchase land and return to Bewdley, to their home Ribbesford Meadows under the guidance of Robert Burns. After playing in the Kidderminster and District Leagues, the main senior side under the management of Craig Payton and Chairman Geoff Edwards, joined in 1999,the West Midlands Regional League Division One South. Prior to this Ribbesford Meadows had been an on going project, providing football facilities for all ages including, youth football in the Stourport and District League and Midlands Floodlit League, adult football in the Kidderminster and District League, and can boast being one of the first clubs in Worcestershire in 1993 under FA Coach Chris Middleton to start a Mini Soccer Centre. This centre is still is still in operation, and draws children of all abilities from the age of 4, from all areas of the Wyre Forest region, under the expert tuition of FA Coach Wayne Payton and co-ordinator Jo Payton, and their team of qualified coaches. In 2005, Bewdley Town finished runners up in Division 1 and gained promotion to the West Midlands Premier League, however in order for them to compete at this level, they had to rent the facilities of near rivals Stourport Swifts. In 2006 permission was granted to build stands and erect floodlights, and in their second season, finished third in the league, having lead for much of it, only being thwarted from possibly winning the league, by bad floods meaning them having to play a large number of games in a short period at the end of the season eventually having its toll on the players, if they had won the league however, they would not have been granted promotion due to the on going development of the ground not being completed. In 2007-8 the ground had been given a higher rating allowing them to compete in matches at a higher level and gain promotion if they finished in any of the top places. Bewdley Town FC also made history in this season, when they were allowed to enter the F.A. Vase for the first time, where they reached the third round proper, losing to higher ranked opposition Coventry Sphinx. The following season saw Bewdley make their appearance in the FA Cup, although short lived, when they lost at home to Midland Alliance side Alvechurch FC. The last few seasons, have seen Bewdley Town, under the guidance of joint managers Craig Payton and Brian Lacey, become one of the top sides in the West Midlands Regional League. Their attractive style of football has made them one of the hardest sides to beat, and one which has attracted supporters from all over the country. Work is on going at Ribbesford Meadows, as the committee and loyal band of volunteers continue to develop the ground for higher levels of competition. Their hard work and achievement, was recently recognised by an award from “Groundtastic Magazine” for the best stand in the lower levels of non league football and narrowly missed winning best ground in the same category, they have recently attained the necessary grading to allow them to proceed up the non league ladder. The 2008/09 season saw Bewdley Town reach the final of the Worcestershire Senior Urn, losing narrowly to Midland Football Alliance side Studley 3-2 at Aggborough, although many thought they were unlucky to do so. However two years later in the 2010/11 season, they gained their revenge beating Studley 2-1 in front of a crowd of over 500. The 2011-12 season saw Bewdley become a strong cup side, they again reached the final of the Worcestershire Senior Urn, where they retained the trophy, once again in front of a 500+ crowd beating Alvechurch FC from the Midland Football Alliance, coming from a goal down to win 3-2. They also nearly caused an upset in the FA Cup, where after progressing through to the 2nd Qualifying round, they very nearly claimed the scalp of Evostik Southern Premier League side Stourbridge, leading 1-0 with 13 minutes of the game left, but eventually losing 2-1, their victors progressed through to the 2nd round proper. In the 2011/12 season saw Bewdley Town enter a team in the new Under 21 league of the Midland Combination, the first season saw them finish a creditable 4th place in a strong league with a number of academy sides. Season 2012/13 also begins a new chapter, with a new Under 18's and our Under 14's entering the Midland Junior Premier League, playing on Saturday mornings, where, very much like the Under 21's, the competition will be against strong academy sides. The introduction of these teams bodes well for the future of Bewdley Town FC, with a direct route now through from Youth to 1st XI football and beyond, which the club has continued to pursue since the introduction of the Mini Kickers. Bewdley Town were awarded the Charter Standard Adult Status in April 2012 and together with their successful Youth Section, are striving towards Community Club Status. At the end of 2012/13 season, Bewdley added to the trophy cabinet by winning both the Worcestershire Infirmary Charity Senior and Junior Cups with the 1st team beating Malvern Town 4-3 and the Under 21 beating the same opponents 2-1. May 2014 saw an era come to an end, when joint managers Craig Payton and Brian Lacey decided to retire. The position of 1st team manager was handed over to the vastly experienced Phil Mullen with former Kidderminster Harriers striker Paul “Ocker” Davies as his number 2. The 2014-15 season was a struggle for the new look Town, as, not only did the club have new managers, but also had a new team, with a number of the “older heads” deciding to retire, leaving Phil no option but to look to youth. Town finished the season in 17th position, well clear of relegation, but the final game of the season saw them regain the Worcestershire Infirmary Charity Senior Cup with a 1-0 win again at Malvern Town. Bewdley Town FC this year also gained the highest Charter when, thanks to the hard work of Wayne Payton, they were awarded Community Club status. 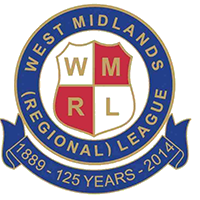 The 2016-17 season saw the reintroduction of a second team, having been accepted by the West Midlands Regional League, they will compete in Division 2. The team will be under the joint leadership of Wayne Payton and Russ Godfrey giving a much needed link from the youth section to adult football.